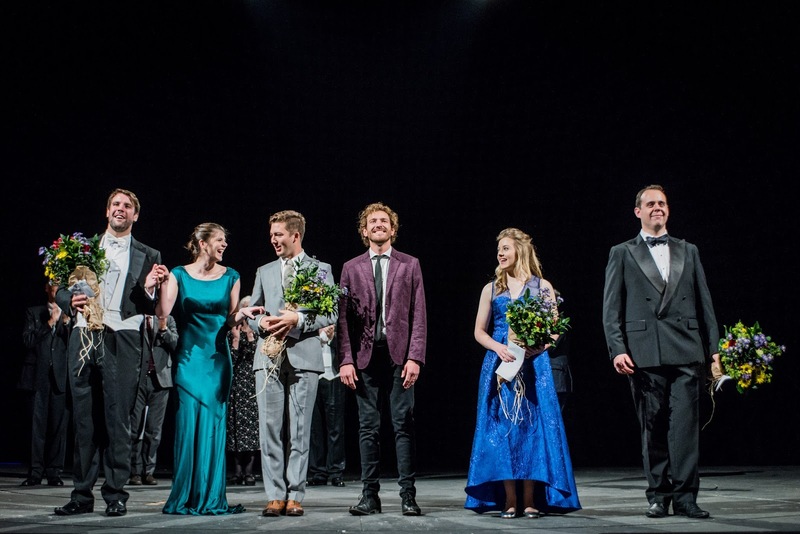 The Grange Festival International Singing Competition 2017 reached its final on Sunday 24 September 2017 as six young singers competed at The Grange in front of a jury which included Dame Felicity Palmer and the festival's artistic director, Michael Chance. 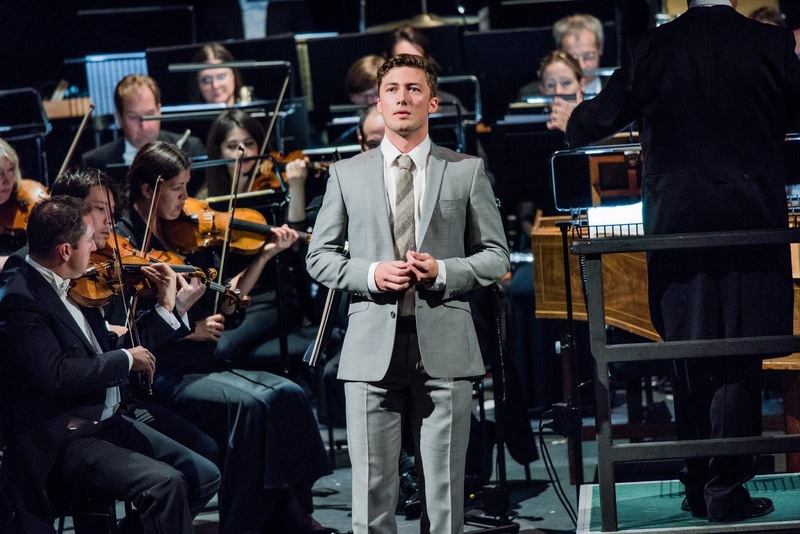 Bass-baritone Bozidar Smiljanic, mezzo-soprano Katie Coventry, baritone Dominic Sedgwick, tenor Sam Furness, soprano Rowan Pierce and tenor Samuel Sakker each sang a 20 minute programme with the Bournemouth Symphony Orchestra, conductor Peter Robinson. Variety was of the essence in the programming, each singer sang in at least two languages and they had to include a piece pre 1750, one post 1925 and one from the period 1750 to 1925. Not every singer seemed entirely comfortable in every era, but all gave us intriguing and imaginative combinations of repertoire, and interestingly all six pre-1750 pieces were by Handel. Though this was a competition it was a performance too and, a very enjoyable one. One interesting point is that none of the finalists seem to have performed in The Grange theatre before, so this was another testing factor. 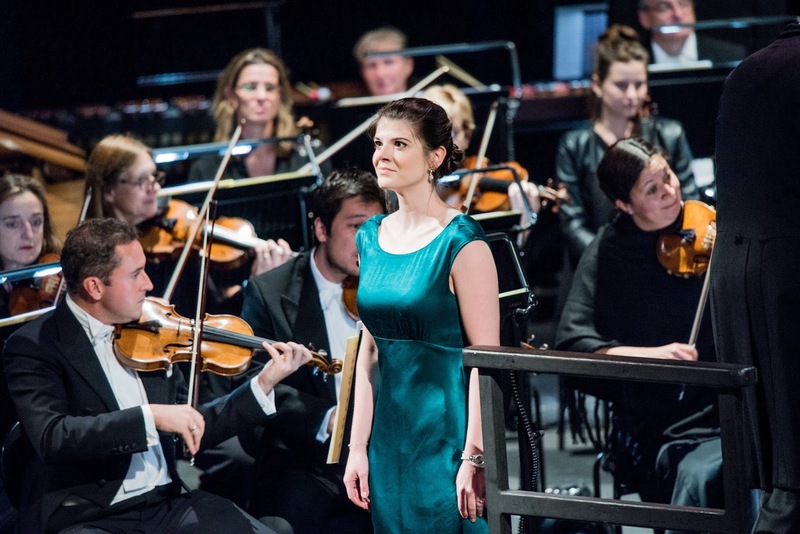 All six singers are at the start of their careers, the youngest Katie Coventry (26) and the oldest Samuel Sakker (32), and as well as giving us six very different voices it was clear that each was at a different point in their journey with their voice. One of the skills necessary in this sort of competition, is recognising what your voice does best and being able to select pieces which show off your skills and your voice to best advantage, and the most balanced programmes of the afternoon were from singers who had done just this. British-Serbian bass-baritone Bozidar Smiljanic (who has just started as an ENO Harewood Artist) started with 'Revenge, Timotheus cries' from Handel's Alexander's Feast. Here, and with all the Handel arias where relevant, we got the full da capo repeat, and the large orchestra (big enough to do credit to the Mahler in the final programme) was slimmed down. The aria made a good opener in a vivid performance with good words. Words were important throughout the afternoon as we had no texts or translations, so the singers' skills in communication were really tested. Smiljanic followed with a characterful and engaging account of Figaro's 'Se vuol ballare' from Mozart's Le nozze di Figaro, including the preceding recit, then Mozart's concert aria Mentre ti lascio, o figlia K513, a nice contrast to Figaro's aria and showing of Smiljanic's sense of line and phrase. Finally, something more dramatic, 'Let things be like they always was', Frank's first aria from Kurt Weill's Street Scene. Scottish soprano Katie Coventry (who has also started as an ENO Harewood Artist) began with Ruggiero's 'Sta nell'Ircana' from Handel's Alcina, in a stylish performance with good words. Nerves brought on a slip at one point, but she recovered well, and continued to give us some elaborate decorations in the da capo. An impulsive account of Siebel's 'Faites-lui mes aveux' from Gounod's Faust really showed the way the aria suited the style of Coventry's voice. An interesting choice next, an atmospheric account of 'Am I in your light', Kitty's Act One aria from John Adams' Doctor Atomic, then finally Annio's 'Tu fosti tradito' from Mozart's La clemenza di Tito, full of character and style. The final programme in the first half was from baritone Dominic Sedgwick (who has just started the Jette Parker Young Artists Programme at the Royal Opera House), beginning with Harlequin's 'Lieben, Hassen, Hoffen, Zagen' from Richard Strauss's Ariadne auf Naxos, his dark toned baritone voice giving the piece a sense of melancholy. Achilla's aria 'Tu sei il cor di questo core' from Handel's Giulio Cesare showed a nice combination of style and drama, whilst Pierrot's aria 'Mein sehnen, mein wahnen' from Erich Korngold's Die tote Stadt was a lovely change of mood, highly romantic with some hints of operetta in it. Finally Dominic sang Owen's Peace aria from Britten's Owen Wingrave (a role Sedgwick sang with British Youth Opera last year, see my review), turning it into a real showpiece full of intense drama. After the interval it was the turn of Welsh tenor Sam Furness (who makes his house debut with the Royal Opera this season as well as making his role debut as Don Jose in Bizet's Carmen, in Finland). Furness began with Jephtha's aria 'Waft her angels', with the preceding accompanied recitative, from Handel's oratorio Jephtha, giving us an account which made the most of the words and which was rather touching. He followed this with a firmly passionate account of Lensky's final aria from Tchaikovsky's Eugene Onegin, giving us a fully rounded character. Then came the Italian singer's aria from Richard Strauss's Capriccio, 'Kein andres' in which is really suggested the underlying drama of the piece, and the finally Don Jose's 'La fleur que to m'avais jetee' from Bizet's Carmen, a finely stylish lyric account of the aria which rose to a fine climax, and showed off Furness's lovely mezza-voce. Soprano Rowan Pierce, began with a spectacular account of Semele's aria 'No, no I'll take no less' from Handel's Semele, providing us with some lovely passagework and sense of character. Mozart's concert aria Vado, ma dove? K583 was stylish and showed off Pierce's appealing character. Her final selection was not obvious, 'Rhapsody' from Gerald Finzi's Dies Natalis, yet the work suited her voice admirably and allowed her to show of a natural fluidity of phrasing. Finally, came Australian tenor Samuel Sakker, who started with a striking account of Samson's accompanied recitative 'Total eclipse' from Handel's Samson. But it was in 'Der Trunkene im Fruhling' from Mahler's Das Lied von der Erde, that Sakker was really able to unleash his substantial dramatic voice and this formed an effective contrast with his his final item, 'Dein ist mein ganzes Herz' from Lehar's Das Land des Lachelns. Throughout the afternoon, Peter Robinson and the Bournemouth Symphony Orchestra accompanied the singers with sympathy and aplomb, moving happily through a variety of repertory which ranged from baroque opera, through Mozart to 19th century French opera and 20th century opera, along with some operetta thrown in. For my own part, I am glad that other people were on the jury, because all the artists brought something special to the afternoon. The three highlights for me, though, were Dominic Sedgwick's aria from Owen Wingrave, Sam Furness's aria from Eugene Onegin, and Rowan Pierce's account of the Gerald Finzi. The full jury was Michael Chance (artistic director of the festival), Scott Cooper (director of artistic administration at the festival), Heather Duncan (head of concerts and programming at the Bournemouth Symphony Orchestra), David Gowland (artistic director of the Royal Opera House Young Artists Programme), Jonathan Groves (of Groves Artists), the mezzo-soprano Dame Felicity Palmer (who is patron of the competition), conductor Peter Robinson and pianist Roger Vignoles. 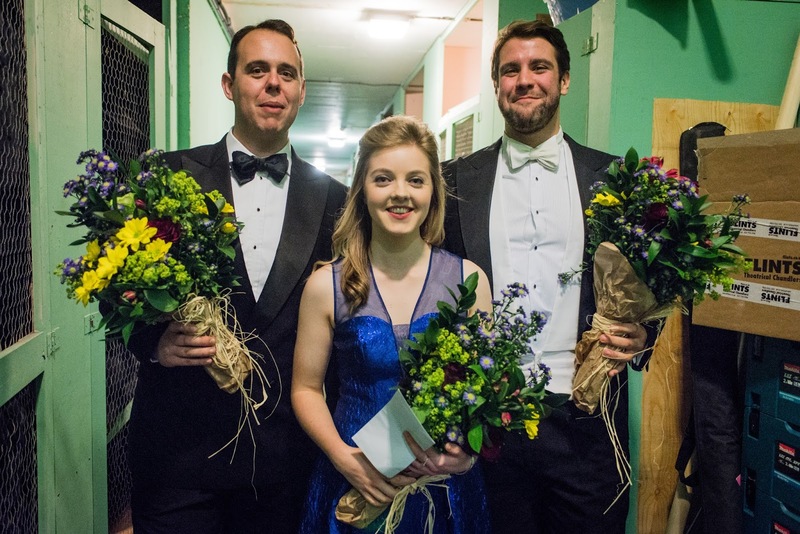 Already announced had been the accompanists prize, which went to Ceri Owen (who had accompanied Dominic Sedgwick, and the Song Prize, which went to Rowan Pierce. All the finalists would receive £1000 at minimum. 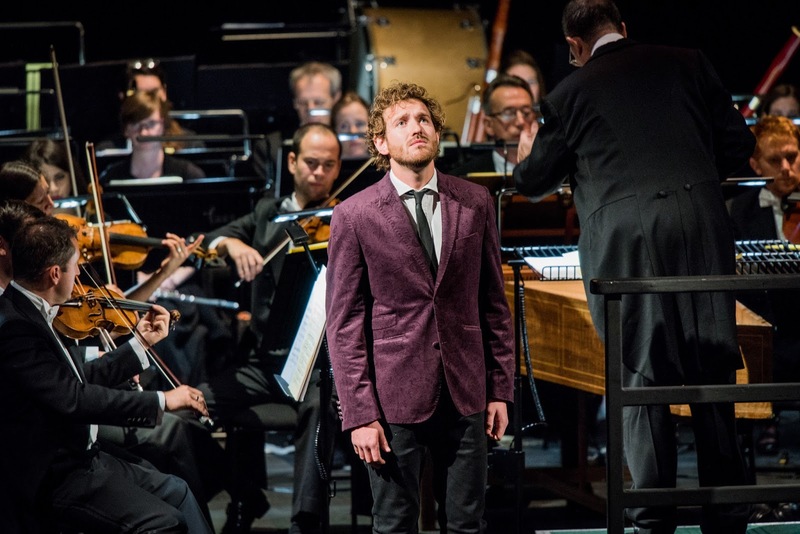 The Bournemouth Symphony Orchestra Prize, consisting of an offer of an engagement with the orchestra, went to Samuel Sakker. The Waynflete Singers Prize, an offer of engagement with choir for Mozart's Mass in C Minor, went to Katie Coventry, Sam Furness and Bozidar Smiljanic. Bozidar Smiljanic took the third prize, Samuel Sakker took the second prize and Rowan Pierce took the first prize. The audience prize went to Dominic Sedgwick.